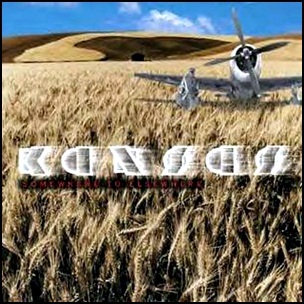 On July 11, 2000, “Magna Carta” label released “Somewhere to Elsewhere”, the fourteenth Kansas studio album. It was recorded in 1999, at “GrandyZine Recording Co.” in Berryton, Kansas, and was produced by Kerry Livgren, Phil Ehart and Rich Williams. All songs by Kerry Livgren. 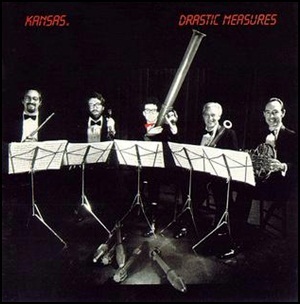 In July 1983, “CBS Associated Legacy” label released “Drastic Measures”, the ninth Kansas studio album. It was recorded in 1983, and was produced by Neil Kernon, Phil Ehart, John Elefante, Dave Hope, Kerry Livgren and Rich Williams. All tracks by John Elefante and Dino Elefante except where noted. 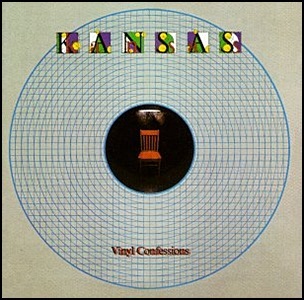 In May 1982, “Krishner Legacy” label released “Vinyl Confessions”, the eighth Kansas studio album. It was recorded 1981-1982, and was produced by Phil Ehart, John Elefante, Dave Hope, Kerry Livgren, Robby Steinhardt, Rich Williams and Ken Scott. 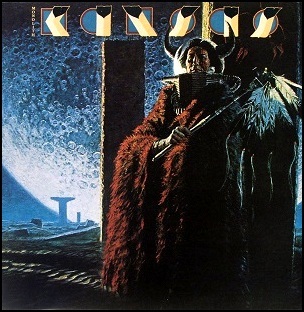 In May 1979, “Kirshner” label released “Monolith”, the sixth Kansas studio album. It was recorded January – April 1979, and was produced by Steve Walsh, Kerry Livgren, Rich Williams, Robby Steinhardt, Dave Hope and Phil Ehart. 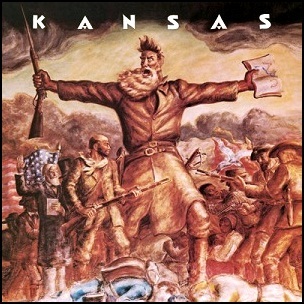 The album cover art was by Bruce Wolfe. 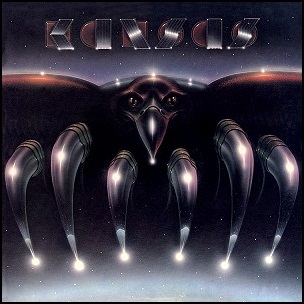 In March 1974, “Kirshner” label released the debut, self-titled Kansas album. It was recorded in 1973 at “Record Plant Studios” in New York City, and was produced by Wally Gold. 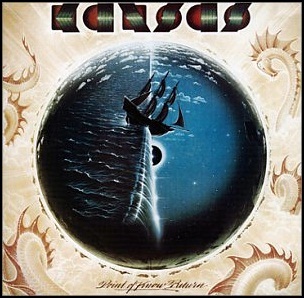 In February 1975, “Kirshner Legacy” label released “Song for America”, the second Kansas studio album. It was recorded in 1974, at “Wally Heider Studios” in Los Angeles, and was produced by Jeff Glixman and Wally Gold. All tracks by Kerry Livgren except where noted. All tracks by Kerry Livgren and Steve Walsh except where noted.